The site for this new church and the adjoining school were identified by the Duchy of Cornwall in its master plan for this new district on the edge of Dorchester. The Dorchester Community Church are selling their site in Dorchester and will be moving into the new church at the end of the year. We have been commissioned to re-design the interior, provide detailed construction drawings and make inspections of the work as it proceeds. 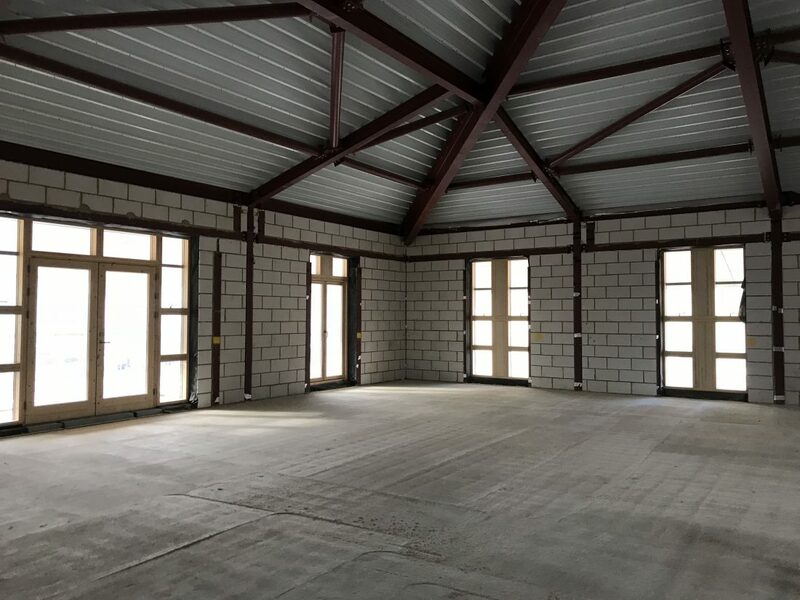 When completed the church will have a main worship area to seat approximately 200, a public café, three flexible meeting rooms, creche and offices in addition to male, female and disabled toilets and a lift between the ground and first floors.